Have you ever been stuck with a gift card that has a really low balance left on it? You probably meant to spend it all – but you got a coupon, a discount, or some other sale, and now you’ve been left with a gift card that has $1.50 left, and nothing to do with it. Sure, you could carry it around with you just in case you come back to that store in the future, but you probably don’t want it taking up valuable wallet space – and you may feel a bit silly asking a cashier to ring you up and handing them such a low-value gift card. So you stick that card in your junk drawer, forget about it, and it expires. You lose the balance from the card, and while you might not miss it, it’s wasteful nonetheless. However, if you live in Maine, that may not be the case. In Maine, there’s a little-known law on the books that allows consumers to turn gift cards under a specific balance – $5, in this case, into cash! Even if you live in Maine, this probably comes as a surprise to you. But it’s true! If you’re in Maine, you can request the remaining balance of a gift card in cash at the point of sale when making a purchase. If you buy a $22 book with a $25 gift card and you have $3 remaining, you can simply request for the remaining balance in cash – it’s just that easy! You don’t just have to do this at the point-of-sale, either. If you have a gift card with a balance of less than $5, you can ask for the remaining balance in cash, even without making a purchase. It’s important to note, however, that this does not apply to promotional cards, telephone cards, or gift cards that were issued for returns without a receipt. If this surprises you, you’ll be totally shocked at what we tell you next. Maine isn’t the only state with a law like this. In fact, there are 12 states that allow you to trade in your low-balance gift cards for cash at retailers. Let’s take a look at each one now. State gift card laws can vary widely, so it’s not unexpected that they would each deal with low-balance gift cards differently. Let’s take a look at the 12 US states that allow consumers to cash out low-balance gift cards, and see how each law differs. California – Any card with a value of less than $10 can be traded in for cash at a retailer. This law applies to all store-issued gift cards, but not to prepaid bank gift cards from issuers like VISA and Mastercard. This makes California the most generous state to gift card consumers, as no other state exceeds a $5 minimum value. Colorado – Any card with a remaining balance of $5 or less can be traded in for cash if requested by the consumer, with the exception of promotional gift cards, prepaid bank gift cards, telephone cards, or gift certificates. Connecticut – A gift card that has a $3 or lower remaining balance can be traded in for cash if the original purchase receipt is provided, or if the remaining balance on the gift card after a purchase is less than $3, and the customer requests a cash payment. Maine – In Maine, as mentioned above, the limit is $5. This law is inapplicable to any card that was purchased for less than $5, and also doesn’t apply to gift certificates, bank-issued cards, cards issued for store credit, or telephone cards. Massachusetts – Massachusetts is an interesting case, as there are provisions for both non-reloadable and reloadable gift cards. In the case of a non-reloadable gift card, 90% of the initial balance must be redeemed before cash can be issued. A $75 gift card, for example, would need to have a minimum balance of $7.50 or less before it could be redeemed for a cash payment. Reloadable gift cards, such as Starbucks gift cards, can also be turned into cash if their balance falls below $5. These statutes do not apply to prepaid telephone cards or bank cards. Montana – In Montana, any gift card with a balance of under $5 can be turned in for a cash payment, as long as the original purchase price of the card was higher than $5. This regulation is inapplicable toward promotional reward cards, bank-issued cards, telephone cards, or loyalty cards. New Jersey – Any card with a balance of less than $5 can be redeemed for cash if it was the initial balance was higher than $5. This does not apply to bank-issued gift cards, telephone cards, or any card issued for merchandise credit. Oregon – In Oregon, any gift card valued at $5 or less can be redeemed for cash – but it must be used at least one time. This law does not apply to gift card issued for promotions, gift cards that are redeemed online, or telephone cards. Rhode Island – Rhode Island is tied with Vermont for the lowest possible redemption balance – if a gift card has a balance of $1 or less after being used, it may be turned into cash. This does not apply to loyalty cards, bank gift cards, or telephone cards. Texas – By Texas law states that retailers are required to redeem gift cards for cash if their balance is lower than $2.50. Interestingly, this is only required for gift cards that can be redeemed in-person – online gift cards are exempt from this rule, and the initial purchase price of the card must have been $5 or higher. Vermont – Vermont allows consumers to redeem gift cards for cash if the balance falls below $1. Washington – In Washington, any gift card that has a remaining balance of less than $5 may be redeemed by a consumer for a cash payment. While the specifics of each state’s law differs somewhat, the basic idea is the same. If you have a low-balance gift card, you can turn it in for a cash payment – eliminating waste, and allowing gift cards to be sold in a more consumer-friendly manner. Given how useful these laws can be, it may surprise you that very few people know about them. There is very little information about each of these laws on the internet, and very few people know about them – both retailers and consumers are mostly unaware of these state-by-state laws concerning low-balance gift cards. This can probably be chalked up to the increasing presence of large, nationwide corporations. A company like WalMart or Target isn’t going to take the time to train their employees to deal with these little-known, state-specific laws and regulations – so even if you try to redeem a small-balance gift card for cash, you may be met with blank stares, confused managers, and a poor customer service experience. And while you’re certain to get your money if you’re insistent – the law is the law, after all, – it seems that it would be much more beneficial if there was a national law that required retailers to redeem low-balance gift cards for cash. Nationwide “Cashout Laws” Could Help Consumers – And Retailers! Implemented correctly, a nationwide “cashout law” would certainly help both consumers and retailers. If there was a clear system of rules and regulations that remained consistent across state lines, such a law could be beneficial for both consumers and retailers. There is a precedent for such a thing. For Before the Credit CARD Act of 2009, there were no federal regulations on gift card expiration dates. Before the Credit CARD Act passed, regulations regarding the expiration of gift cards were decided only on a state-by-state basis. Some states, like Maine, outlawed the expiration of gift cards – they were usable indefinitely. However, other states such as Delaware had no statewide law regarding expiration dates at all – it was totally up to retailers to determine their own expiration dates. Clearly, this was not in the best interest of consumers – so when the Credit CARD Act passed, a mandatory gift card expiration date of 5 years was placed on all retailer-issued gift cards, on a federal level. Now, even in a state without gift card expiration date laws, you can be certain that your card will be valid for at least 5 years – and that’s a good thing. Less Waste – Consumers wouldn’t ever have to worry about having useless, low-balance gift cards hanging around. A simple, intuitive redemption process would give them the option of receiving a cash payment for a gift card balance below $5, minimizing gift card waste. Consistent Policies – Navigating around the current statewide gift card cashout policies can be confusing as it is – some states allow you to redeem your card without a receipt, while others require you to make a purchase. Some states allow you to redeem promotional gift cards and gift cards that were issued for merchandise credit, and others don’t. This complexity is very unfriendly to consumers, and could lead to total failure to utilize useful cashout laws. A simple to understand, federally implemented program would allow each state to have a consistent policy about redeeming low-balance gift cards, and provide consumers with the confidence they need to get their cash payouts. And while it may seem that these sorts of laws are only helpful to consumers, that’s not the case. There are a variety of benefits that these laws could have to retailers. Gift Cards Would Be More Desirable – Gift cards are already a very popular gift – but letting consumers cash out low-value gift cards could make them even more desirable. Consumers wouldn’t have to worry about getting stuck with a useless gift card balance, which could make them more likely to purchase more gift cards. Reduces Liability And Breakage – When gift cards are sold to consumers, they’re held as liabilities until their full balance is redeemed. This can make accounting very difficult for retailers who issue large amounts of gift cards.If a large number of consumers fail to spend the entire balance of their gift cards, this can lead to breakage – excessive volumes of unspent gift cards that are noted as liabilities. If a smart, nationwide gift card cashout system was introduced, however, a large portion of this breakage could be eliminated. Consumers could simply turn in their gift cards, and retailers can write off that balance on their liability sheets, vastly reducing breakage and simplifying the accounting process. Consumer-Friendly Laws Lead To More Consumption – While some retailers were suspicious of the aforementioned Credit CARD Act of 2009 – worrying that the penalties on expiration dates and inactivity fees would impact their bottom line – gift card sales have not slowed. 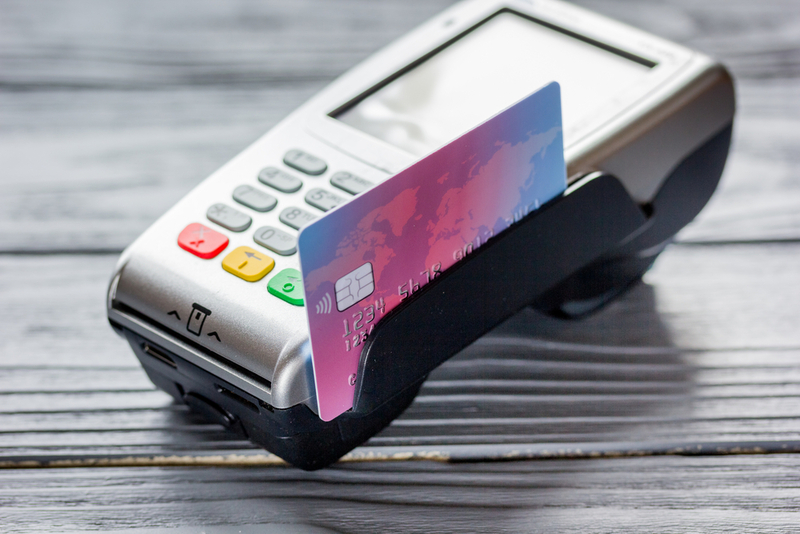 In fact, the new consumer protections implemented by the Credit CARD Act of 2009 could be a contributing factor to the steady growth of the gift card industry as a whole. A law that allowed low-balance cards to be traded in for cash could have a similar impact on gift card sales – consumers would know that their best interests are in mind, and would be more likely to purchase gift cards. Though such a nationwide law would certainly be beneficial to both consumers and retailers, it’s probably unlikely that we’ll see such legislation in the very near future – especially since most people are still unaware of even the statewide regulations regarding low balance gift cards. Need To Turn Your Gift Cards Into Cash? Don’t Wait For The State! Sell Your Gift Cards AT EJ Gift Cards Now! Legislators are still behind the times when it comes to getting rid of unwanted gift cards – but lucky for you, there are plenty of private companies willing to pick up the slack. EJ Gift Cards is a leader in the world of direct gift card buying. We buy hundreds of gift cards at competitive rates – and we even buy partially used cards, although we require a minimum balance of $10. Just go to our website, enter your card information, and get a competitive offer for the value of your card. If you like what you see, just enter your PayPal information – and you’ll get cash payout for the value of your gift card via paypal! It’s as simple as that. So don’t wait around for lawmakers – take matters into your own hands, and sell your unwanted gift cards with EJ Gift Cards today.